A few days ago, we asked a number of influential marketers in Malaysia about the marketing trends they are seeing that will shape the country this year and beyond. Marcus Osborne, Co-Founder of Fusionbrand. As we get into 2019, three things concern me about Malaysia’s marketing landscape. The first is the control CEOs have over the development of marketing tactics and specifically, marketing content. Far too many CEOs from both the private sector and GOCs and GLCs think they know more about marketing than the people they hire as CMO or head of marketing. I think it’s really important for them to leave marketing to the marketing people. Sure they should be involved in the process but not control it. The second thing that concerns me is the obsession with volume channels or what we call ‘vanity marketing’ which has at its heart the belief that if we’re reaching a large audience, we must be getting value for money. Of course, nothing could be further from the truth but it doesn’t stop way too many businesses from investing the majority of their budgets in OOH, TV and Radio. I’m not saying these are all the wrong platforms for all businesses all the time but they should not be seen as the foundations around which many marketing strategies should be built. My third concern is the lack of appreciation for digital. Many CEOs are reluctant to invest in digital and if they have invested, their digital investments are often reluctant, fractured and operating in silos. This is all too common in companies that see strategy as a bunch of tactics thrown together after a ‘brainstorming’ session (where the CEO’s ideas are rarely challenged because, well he’s the CEO). 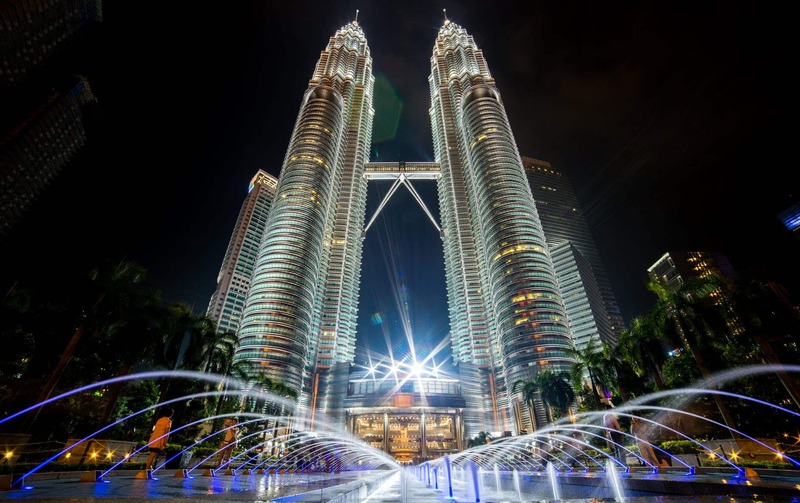 Nevertheless, I do believe that the biggest trend to shape Malaysia’s marketing in 2019 will be a move to more strategic thinking when it comes to marketing, and acceleration of digital transformation programmes will drive this shift that will see an end to the obsession with traditional vanity channels that rarely move the business needle. As firms transform their digital infrastructure, the next step will be the digital strategy that will break down silos, lead to a more molecular approach to reaching, connecting and interacting with target audiences across paid, owned and earned media, embracing them in a relational way. And real, actionable data – not the typical demographic data that has no real relevance in a social economy (how many 18 – 25 years old groups are there on Facebook? Exactly) – will play a much greater role in a more strategic and scientific approach to marketing. Gurmeet Gill, Brand Strategist at Fusionbrand. In 2019 I think we’ll see the concept of creative driven tactics determining ‘strategy’ evaluated in a tectonic shift away from the old ways of marketing. Businesses will realise a Cannes award-winning advertisement might raise the stock of the advertising agency but often fails to move product. Consumers today are more cynical and demanding, consume media in completely different ways and seek data about companies or products from the communities they inhabit on and offline yet most brands continue to use the same marketing tools they’ve been using since the 1960s. Even when using social media, they tend to use the same approach as they use on mass media. This isn’t sustainable. In 2019, more brands will take a step back and aim to measure the strength of their brand both internally and externally. And this starts with a brand audit. Towards the end of 2018 and already in January, we’ve seen a spike in enquiries about brand audits as brands look to reset their businesses in the face of aggressive, well organized international brands looking to make inroads into Malaysia. I think this is being driven by CEOs demanding more accountability from marketing departments. A brand audit provides a snapshot of what you are doing right and wrong and allows marketing departments to justify budget requests with hard data rather than vague metrics such as ‘reach’, ‘views’, ‘likes’ and ‘awareness’, metrics that are increasingly irrelevant in 2019 as data makes measurement more precise. A recession is coming in 2019 and it could be brutal. The only way many Malaysian businesses can survive this year is if they become more structured and strategic in their approach to marketing. This trend towards brand audits shows smart Malaysian CEOs are maturing and taking control of their marketing, surely a good sign. Johnson Lai, Founder of Optisage Technology. We’ve heard it so many times, yet this continues to be the most relevant – Content is everything. Consumers are being bombarded everywhere with information all the time, but the results are always the same, people engage with content that can inspire, provoke, excite or appeal to them. When consumers engage with your content, you open a two-way communication channel which is crucial to building trust and letting customers know you appreciate their business. There is no shortcut, great content builds a quality user-base. The other thing to watch out for would be ‘Artificial Intelligence & Machine Learning’, where brands make use of AI tools to support their marketing applications and predict what the users want before they even ask of it. Predictive marketing will be a game changer if done properly, and in the coming years, many companies will be investing heavily in this technology. Nowrid Amin, Marketing Strategist at IQI Global. One. The Facebook ads will still continue to be the crucial platform in 2019 for businesses in Malaysia, no doubt about it. Though the advertisement cost is increasing, I think still it is cheaper than others. And businesses can take advantage of the platform to convert visitors into sales if they know how to play them right. Remember, Facebook is not a child’s play anymore. Even the option ‘boost post’ will not work the way it used to work before. The good news is that the number of users is stretching rapidly too – people between age 30 to 65+ are now categorised as active Facebook users. This category is very crucial for businesses as these ages are the decision makers category. And the Facebook ads placement can also be crossed into Instagram too. How cool is that! Two, businesses are getting the best out of Google AdWords. One of them is the e-commerce players. Realising this benefit, many businesses have already started to take Google AdWords seriously by enlisting it on their digital marketing masterplan. I personally see that the non-e-commerce brands especially in the automobiles, education, real estate, food and beverages and retail sectors are absolutely missing the benefits of Google Adwords in this country. They’re more inclined towards social media and this is indeed a waste. If the planning can be done prudently, Adwords will be vital for the Malaysian market in 2019 as they can tap into the community who prefer to search something on Google rather than searching for something on social media! Lastly, don’t forget about Linkedin. Do you want organic reach? Do you want to have a strong brand? Do you want some corporate highlights? Want to have a better circle of professional networks? Are you looking for unbelievably crisp resources for your business? If you say yes to all these, then obviously you need Linkedin. And it is my all-time favourite platform. It doesn’t matter if it’s corporate branding, personal branding, social media, content and other subsets of digital marketing, Linkedin will be a key social media platform in 2019 if you are serious about diving deeper into digital marketing here in Malaysia. Roberto Cumaraswamy, CMO on Demand at RC. Ah, trends. That time when we all Google “Marketing Trends 2019” and load up on Neil Patel videos to figure out what’s next! Things are moving so fast now that it’s really hard to make predictions. However, there are definitely key trends that have been picking up speed over 2018 and will most likely continue into 2019. AI automation & personalisation, Chatbots, Message marketing, Video, Live Video Streaming, Voice Search, Micro Influencers & Employer Branding are some of the key ones. They already have extensive coverage so I shall not bore you with a rehash here. Instead, what I would urge you to do is not to lose sight of the forest for the trees. In other words – don’t get so caught up on chasing the latest trends that you forget about timeless marketing strategies and principles. In this “ooh look at that shiny new tool” times we live in this is very, very common. So, YOU be smarter than the average in 2019. Focus on clarifying WHO your desired customer is. WHAT their problems are. HOW you help them solve it. WHY your solution is better than the competition. Use different levels of content/advertising to gradually move your prospects through your engagement funnel. Don’t hard sell to cold prospects. It will cost you a bomb! Instead, nurture them closer to a sale by letting them gradually discover you through content that helps them solve a problem or engages an interest related to what you offer. Then get hard to work delivering an amazing customer experience that will start a social fire. Because ultimately that will be your most powerful marketing fuel for 2019 no matter what tools you use. Chetan Bharadwaj, Entrepreneur, Digital & Business Advisor. Trends are nothing until we continuously innovate and constantly reinvent ourselves. The world is changing, and technology is taking the lead. Marketing in Asia has seen an influx of AI, influencers and video content and more last year. 2019 shall continue to be a year of business disruption triggered by many more tech innovations. Marketing and tech changes that I foresee will make the most impact is the – Rise of Mobile Traffic, Instagram Ads, Chatbot Automation, Micro-Influencers, Live Video Streaming, Omnichannel & Personalized Marketing. As the world is becoming more automated, our reliance on machine learning will continue and I’m expecting AI to enter the mainstream in Malaysia and just automation wouldn’t be enough but ‘intelligent’ omnichannel automation will take in the play. Furthermore, brands will be inspired to invest in online and offline customer data integration to an extent of augmenting it with external third party data. We’ve seen people putting more trust in others they know and reputable content, not ads therefore in Southeast Asia micro-influencers will be salient in getting the advantage of speed and cost compared to influencers with larger follower counts. Instagram Ads shall be the breath of fresh air as FB Advertising’s become congested & expensive with plenty of small to large companies investing on the platform. Live videos will indispensable as they are more economical for brands. Alternative search formats are on the rise. So much predictable noise in 2019 – fret not, the winning note is in sticking to the marketing basics, thinking creatively and not being afraid to bend the rules; that’s what will set the marketers apart. Speed to market is important, so keep experimenting, but learn fast and move on quickly! Storytelling. This is the one thing that will definitely be a game changer for many of the brands out there in the year 2019. We are living in an era where most of us are being fed with content constantly. Every scroll and tap that we make on our social media platforms and web searches, we see contents. Along the way, we have developed a skill to help us choose and filter what we want to see and listen. And that leads to the importance of storytelling contents. One of the iconic examples I can give is Petronas. We all know what Petronas does, but they don’t always create typical marketing contents that talk about their products and services. They also craft heartwarming festive seasons videos each year. They are telling a story to strengthen its brand positioning. And it works! We remember Petronas partly because of the videos that they’ve created. That is why we need to think differently in 2019. Especially in terms of content crafting. How can we make our audience look at our contents and share our contents out willingly? Definitely through storytelling. And the best way to do it is to create video contents. Just remember, it’s not about how great the audio and visuals are. It’s the content itself that matters. Azleen Abdul Rahim, Partner at NSE. 2019 and beyond is clearly about value. It’s about how relevant your brand is to the people out there. Once they see your brand is not going to add much value in their personal or professional life, they’ll skip you altogether. When you’re being skipped, you’re not in their lifestyle. And when you’re not in people’s lifestyle, you won’t survive much longer. As simple as that and this is fundamental. It doesn’t matter how good you are and how technically savvy you are with your content creation, video, blogging and LinkedIn skills, but if people can’t see how you can help them solve their problems then they’re not paying you for your products or services. Just look at how Grab, AirAsia, Spotify and Netflix are doing, these brands are able to squeeze themselves into people’s daily life around the world. The people are giving permission to these brands allowing them to be part of their personal and professional ecosystem. Why? Simply because these brands are giving values by solving people’s problems. Thanks to the ridiculous charges and sloppy services by the incumbent service providers, people are moving away from those crappy brands to these brands. They are seeing value in these brands. And they are willing to pay for it. Sounds good Marcus! We’ll stay in touch.